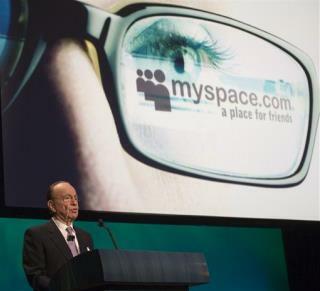 (Newser) – More than a decade ago, MySpace reigned supreme in social media. And the company now has bad news for all those who uploaded music and other media to their accounts: It's all gone. "As a result of a server migration project, any photos, videos, and audio files you uploaded more than three years ago may no longer be available on or from MySpace," says a company statement. "We apologize for the inconvenience." The loss covers everything going back to the company's launch in 2003, reports the BBC. Tech writer Graham Cluley takes MySpace to task for not having a backup and calls this an "appalling cultural loss," given that MySpace had more than 50 million songs. My copy of Disco Duck may be lost forever. Yes becasue it isn't standard practice to have backup of everything in IT. This story, as others have said, doesn't sound right. Dang!!! People still do MySpace? I remember that long-long ago. Just a bunch of drama. Just people banging everyone in every circle, workplace & department.